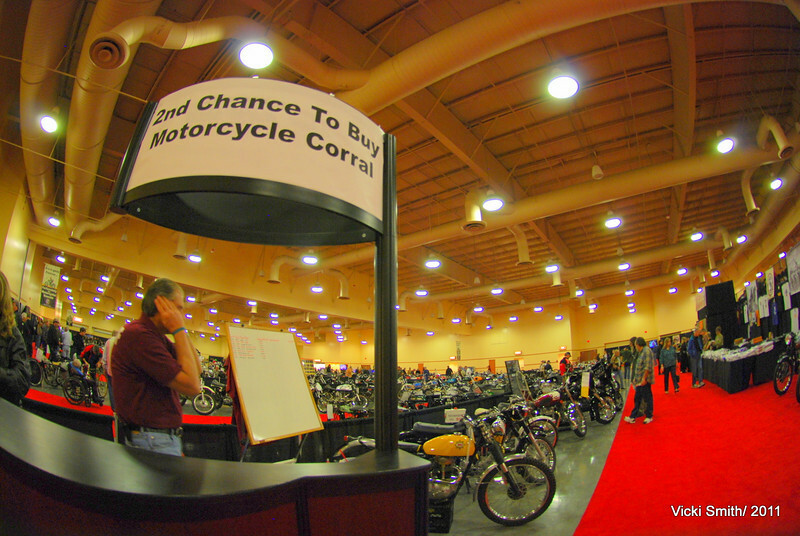 Motorcycle Auctions Las Vegas Style! Anything that "no-saled" was pushed here with a tag that stated what the asking price was. As the auction progressed this line got longer but bikes were selling as fast as they were arriving. Not many left at the end of the sale.